Sunshine Through the Rain: Life in a fishbowl! 'Life in a fishbowl' pretty much describes my life over here sometimes. Everyone knows who we are, what we are doing, if we have been on holidays, what we are eating for dinner..... you get the picture! 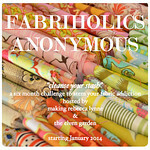 I needed some sewing to take away with me (a few months ago now!) and so quickly grabbed Aneela Hoey's brilliant book 'Little Stitches' and chose the Goldfish bowl pattern! It described in a picture exactly what I was struggling with! For the back of the hoop I followed this brilliant tutorial and stitched some felt in place to create a neat look. How sweet! I need to take on smaller embroidery projects like this instead of the big ones I choose and then abandon before they're finished. Thanks for the heads-up about the felt-backing tutorial. Excellent! I just finished a hoop too! so much fun in a quick project - love the stitching you've used for outside the bowl. What a cute project! I haven't done embroidery in years but this tempts me to take it up again. I love the fact that it is so quick. Thanks for sharing. What a sweet embroidery! I've wondered about padding on the back of stitcheries so thank you for the link to the tutorial. The felt on the back really finishes it off perfectly. 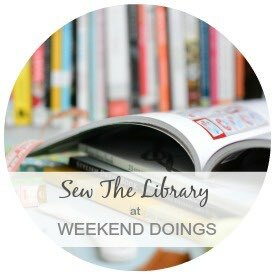 Thank you for sharing and linking up to Sew the Library. 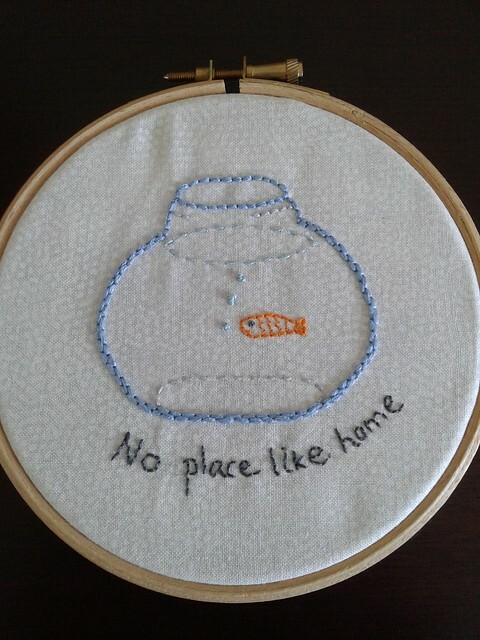 Dare I ask, did stitching this make you feel any better or even more like a goldfish? A slow hand project can be very soothing. What a cute idea - love the backing! Love this - such a simple wee design but so moving. I hope life is feeling a little less watched over for you, and some of the homesickness has eased. The fishbowl of expat life? A tiny village within a giant city? I know that! 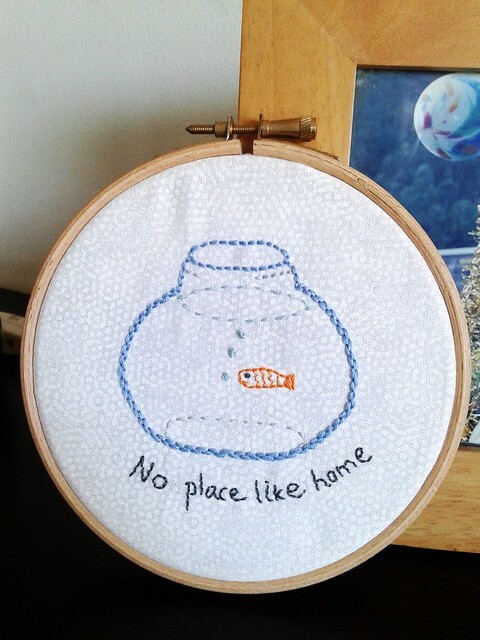 So sorry to hear that you've been living in a fishbowl! I hope the project took your mind off it a little and made you laugh! Thanks for the link to the backing idea. 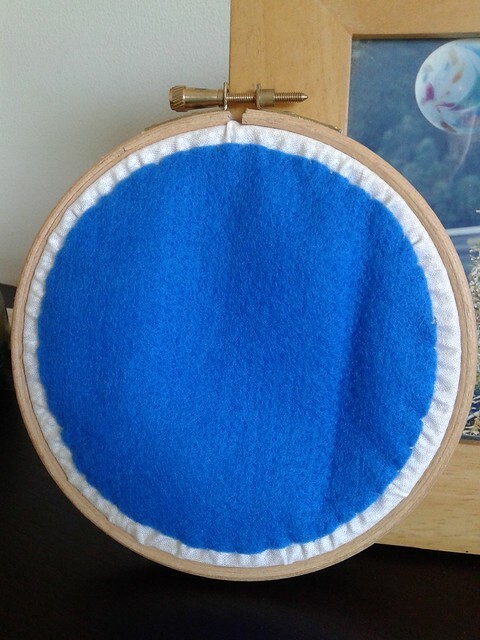 I have a hoop with embroidery and just hung it, but this would make it look a lot neater.